Chelsea showed signs that their form is on the mend with a point at White Hart Lane after a pulsating London derby. It’s not often that a draw can be seen as a decent result in the white half of North London, however given the recent slump this performance was a welcome improvement. It could’ve and maybe should’ve been even better were it not for Didier Drogba’s failure to convert a stoppage time penalty. The Ivorian had earlier brought the champions level after Roman Pavlyuchenko’s opener, but he continues to find ways to annoy Blues’ fans after his love-in with the Marseille supporters on Wednesday. 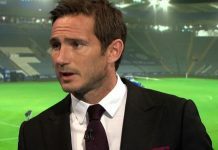 The big talking point going into the game was the return of Frank Lampard, with the Chelsea vice-captain amongst the substitutes alongside Drogba, who was dropped after his dip in form. It seemed as if this shake up had a positive impact early on, as the visitors linked up confidently, although loose balls from both Kalou and Ivanovic almost handed Spurs the initiative. However, the home side’s well documented attacking threat did bear fruit when Pavlyuchenko expertly controlled Defoe’s low cross, taking him clear of both Terry and Mikel, before drilling low inside Petr Cech’s near post. The goal came a little against the run of play and seemed to wind the Blues, who struggled to create meaningful chances. Salomon Kalou in particular found the going tough; three times he got his head to crosses from Malouda, Anelka and Ramires but couldn’t convert. The inability to create led John Terry to drive out of defence on two occasions, the second of which almost brought about the equaliser as he failed to meet Malouda’s cross by inches. Despite having a leaky defence the home side were doing a good job of nullifying the champions threat, with full backs Alan Hutton and Benoit Assou-Ekoto both working hard to contain Chelsea’s width. Ancelotti clearly needed to change things to impact the result and his decision to sacrifice Mikel at the interval revived the attacking line, as Drogba entered the fray. Despite early efforts from Defoe and Modric the Blues soon seized control, and would not relinquish it. First Gomes palmed away Drogba’s curling shot before tipping over Palacios’ stray header from the resulting corner. The champions did eventually get their goal as Drogba out-muscled Michael Dawson and lashed the ball goalwards. Gomes got hands to it but could only send it looping up and over himself into the net. Suddenly the Blues sensed a chance to end their rotten form as the likes of Essien and Ramires becoming increasingly dominant in the middle of the park. It was indeed the Brazilian who caused more problems for Gomes as he hunted down a Drogba flick-on in the box as the game entered injury time. Having beaten the Spurs keeper to the ball he was then flattened, and referee Mike Dean had no hesitation in pointing to the spot. But rather than the now on Frank Lampard it was Drogba who stepped up, and saw his effort saved. It was a sickening way to end proceedings given the passion shown by Ancelotti’s side in the second period, however the return of Lampard, a fantastic rearguard from JT and some decent spells of passing will serve as big boosts to Blues fans ahead of two more massive games against Manchester United and Arsenal. Previous article‘WOBBLY BENCH’ TIME? HARDLY! Next articleCOMING BACK TO LIFE?